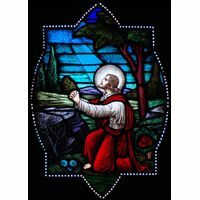 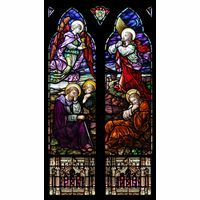 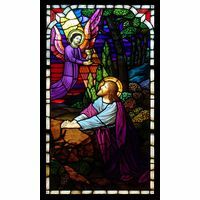 Jesus kneels in the Garden of Gethsemane with the angel God sent to comfort Him, honored here in magnificent stained glass. 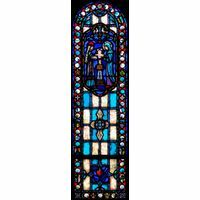 Classically created with old world style, perfect symmetry and balance and flawless imagery, this work of stained glass art comes to life as it dazzles the eye and stirs the soul. 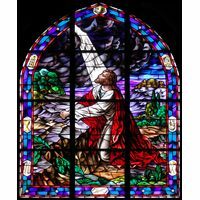 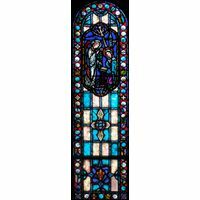 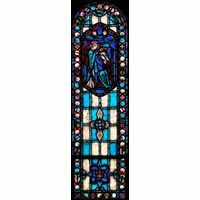 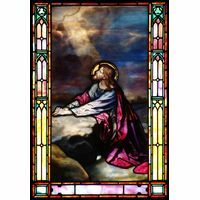 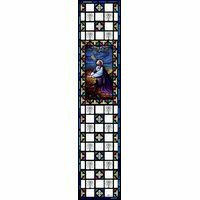 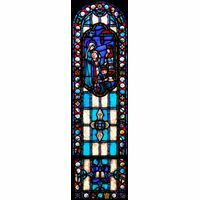 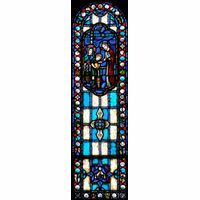 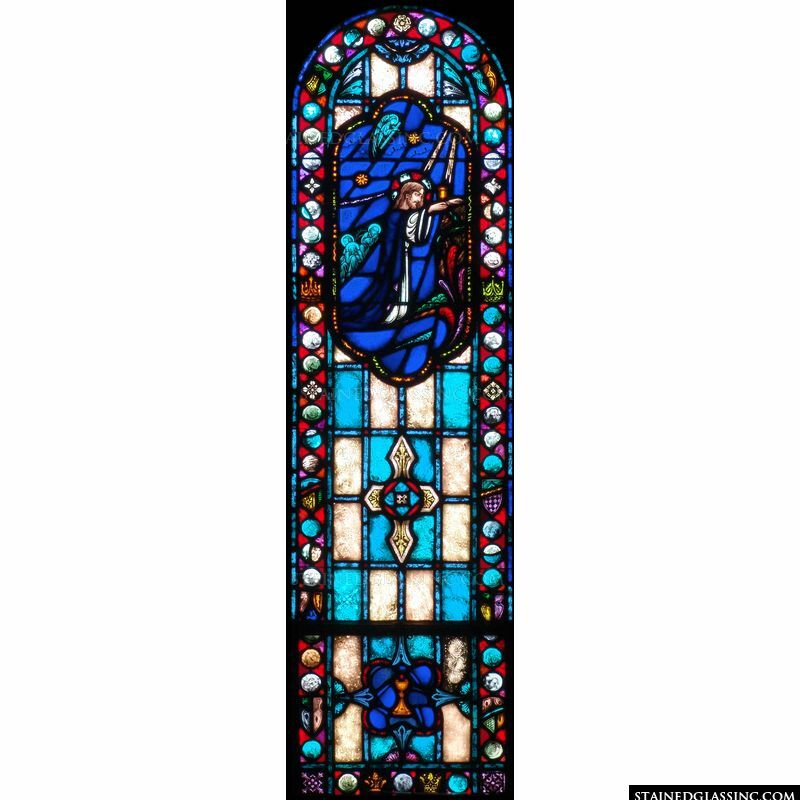 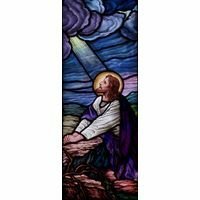 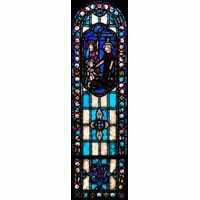 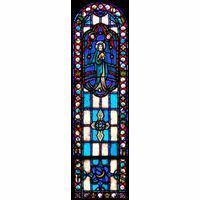 Heart rending and beloved, the story told by this beautiful stained glass panel is beloved by Christians everywhere, depicted in breathtaking color and arched elegance, accented by holy symbols and an elaborate, ornate frame. 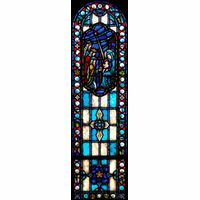 Varied natural textures capture the light of the sun, candles and fire in shifting shades and patterns as they dance along the surface, enhancing areas of worship, church, chapel or cathedral, as well as home or business decor. 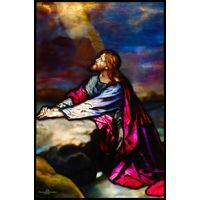 Master stained glass artists in the studios of Stained Glass, Inc. are the creators of this superior stained glass panel, crafted with old world artistry paired with cutting edge technology.